Welcome to CouponWaali.com. These Terms of Service (the “Terms”) are a binding legal agreement between you and CouponWaali.com (“CouponWaali.com” or “we”, “us”, “our”), regarding your use of the CouponWaali.com website and services at CouponWaali.com (the website and services are collectively referred to as the “Service”). Please read this agreement carefully. The term “copyright” protects rights to the intellectual property created and published online at CouponWaali.com. It includes visual design, layout, code and processes. No person or organization may use or reproduce in any form any part of CouponWaali.com without prior written consent. This prohibition applies to unauthorized uses or reproduction for public or private use. CouponWaali.com does not permit reproduction, transmission, or storage of content on any other website or in any other form of electronic retrieval system. Nor may content form part of third party sites or electronic database or retrieval systems without express written permission. We provide online vouchers to our users. 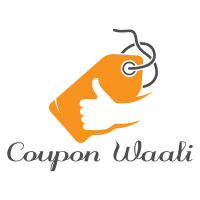 CouponWaali.com is not responsible for the redemption, errors, omissions, or expiration of online vouchers. It is your responsibility to make sure that a discount, special pricing, or free offer is present in the checkout process at the applicable merchant website. All offers and promotions featured as a part of the Service are subject to change without notice and we have no control over the legality of any vouchers or the ability of any merchant to complete the sale in accordance with the offers. CouponWaali.com does not send unsolicited emails. If you wish to unsubscribe from any mailing list please click the unsubscribe link at the bottom of the email. CouponWaali.com does not sell or share your personal information with anyone. CouponWaali.com, the CouponWaali.com logo, and any other product or service name or slogan contained on the Service and in any Content are trademarks of CouponWaali.com and its suppliers or licensors; they may not be copied, imitated or used, in whole or in part, without the prior written permission of CouponWaali.com or the applicable trademark holder. All other trademarks, registered trademarks, product names and company names or logos mentioned on the Service or in any Content are the properties of their respective owners. Reference to any products, services, processes, or other information, by trade name, trademark, manufacturer, and supplier or otherwise, does not constitute or imply endorsement, sponsorship, or recommendation thereof by CouponWaali.com.